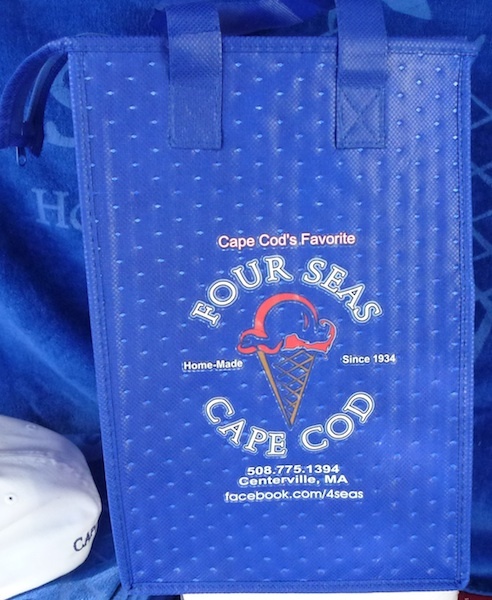 Keep your ice cream and other foods cool with a Four Seas freezer bag. Available in small (16oz.) or large (32oz). 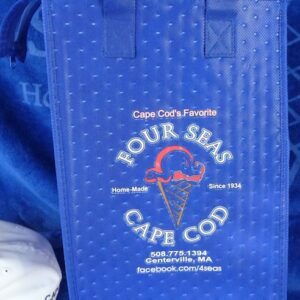 Small can fit 3 quarts or 8 pints zipped (or your lunch), the large fits 12 quarts or 21 pints or 1 Ice Cream Cake or a 3 gallon tub of ice cream.